This alumni spotlight is on Bob McGill, a 1975 Union Ph.D. graduate. His passion to pass down traditional Ozark music led him and his wife Karlene to organize the nonprofit Ozark Mountain Music. He is a retired Youth Specialist with the University of Missouri Extension Service and is founder and director of a not-for-profit corporation, Ozark Adventures. His commitment to share his love of music with youth has even led him to the White House. Learn more in the Q & A below. A. Union’s mission to social justice is something I appreciate. The stated mission and goals of the university to contribute to a pluralistic, just, and equitable society and helping remove the fear of those working to do so has always helped me personally and professionally. A. Union allowed me to design my own course of study and that process allowed me to immerse myself in adventures that I deemed relevant at the time. Doing so, with the help and support of the faculty gave me the knowledge and confidence to continue in my field. A. Get to know yourself and follow you own passions and dreams. Don’t get caught up in following in the footsteps of others. Be wise. Plan and enjoy your own adventures. A. My greatest accomplishment is whatever I’m working on at the time. Right now I’m helping young people learn to play traditional Ozark fiddle tunes. Music, we have discovered (as have so many others) cuts across both generations and cultures and develops, simultaneously, both self-discipline and self-expression. Music helps create character in young people. 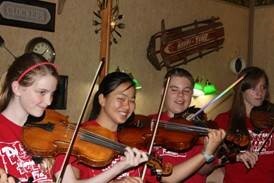 My proudest moments were hearing the members of our fiddle troupe play perform “Let There Be Peace” in the East Room of the White House and actually witnessing White House visitors cry at the conclusion of the song. 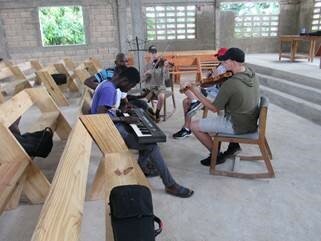 A close second as a memorable experience was assisting three of our experienced young fiddlers in conducting a week-long fiddle camp high in the back mountains of Haiti in 2017. Experience transformation as a Union Ph.D. student. Start today.